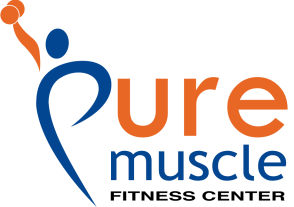 Pure Muscle specializes in personal training, group classes, weight loss, muscle building, increasing athletic performance, increasing aerobic capacity, increasing strength, and nutritional advice. Ever wish you could break out of that plateau? Want to excel at a sport or look your absolute best? 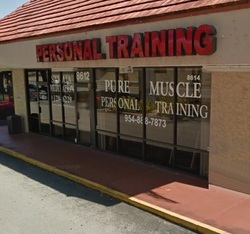 Come check out Pure Muscle in Davie, FL! Our facility is geared toward getting you fast and safe results. Our staff uses the latest exercise science techniques that combine strength training, functional training, and metabolic (interval) training to help increase muscle and burn fat better than ever before. Our main purpose at Pure Muscle is to promote a healthy, organic lifestyle and force an adaptation. We gauge how well you are progressing by conducting monthly assessments that allow us to gauge your progress and revamp your personal goals. The certified trainers at Pure Muscle will educate you on how to work out efficiently and eat properly to ensure that after you reach your goal, you can maintain it even when you've graduated from our program(s). Pure Muscle’s main focus is to get you results safely and quickly, and also to instill a lifestyle that allows you to accomplish your ultimate physical goals. Here at Pure Muscle, we also offer you nutritional advice that will help you stay healthy and in shape. We have various ways of helping you reach your nutritional goals. We evaluate your eating habits and create a meal plan for you to gear you towards a healthier lifestyle. Pure Muscle is committed to your health and safety and we guarantee fast and efficient results. We offer various packages and you can chose whichever fits your needs best. If you want to look and feel your best ever then sign up with Pure Muscle.